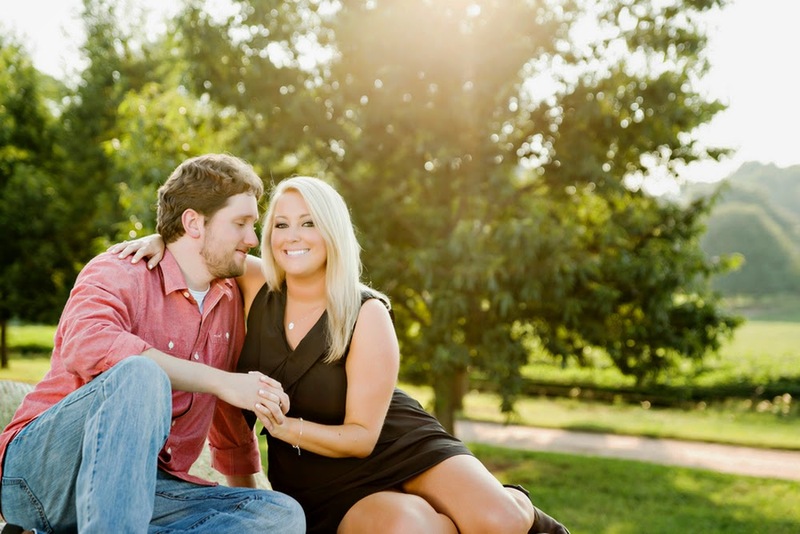 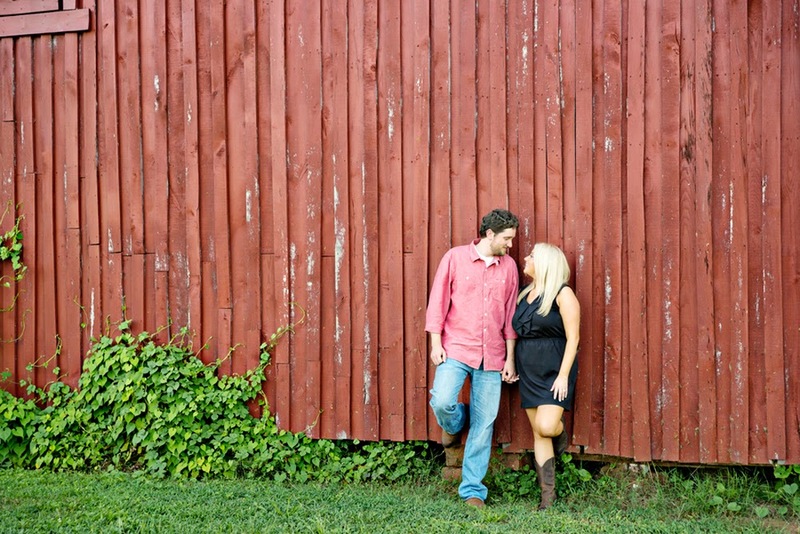 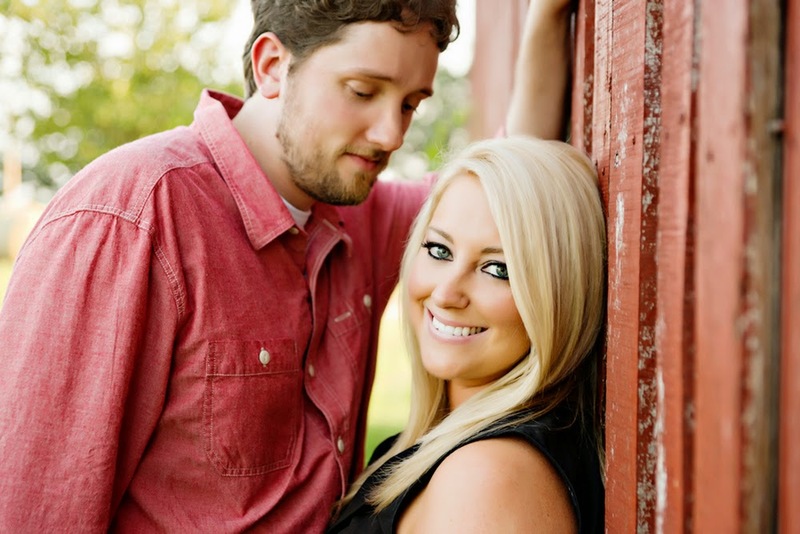 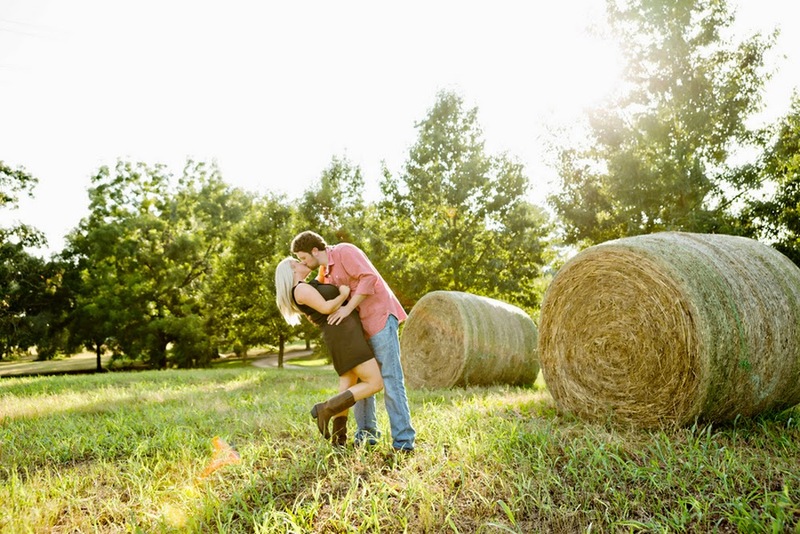 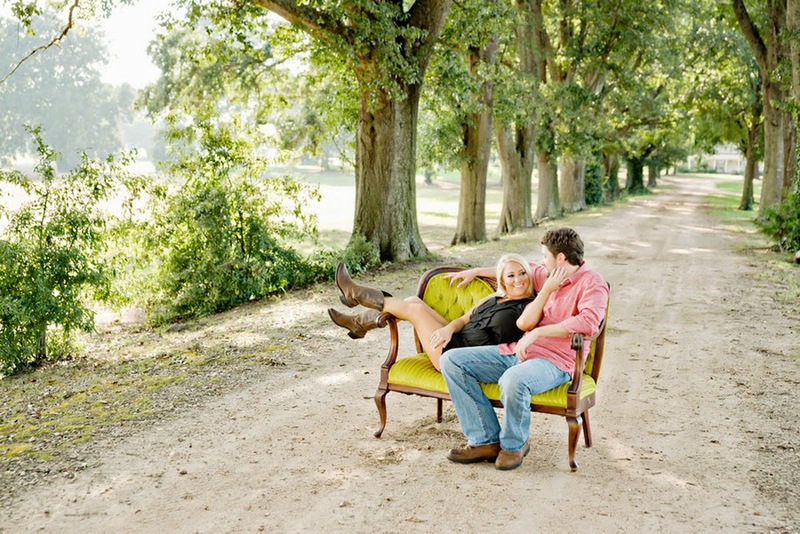 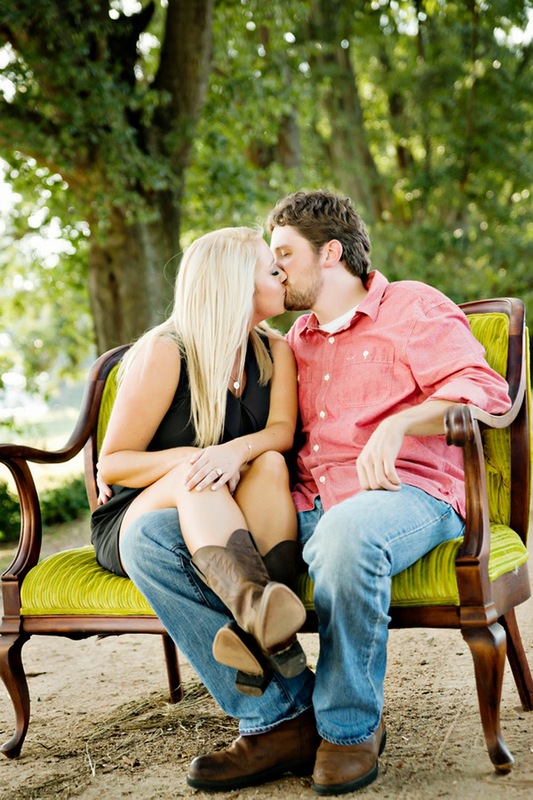 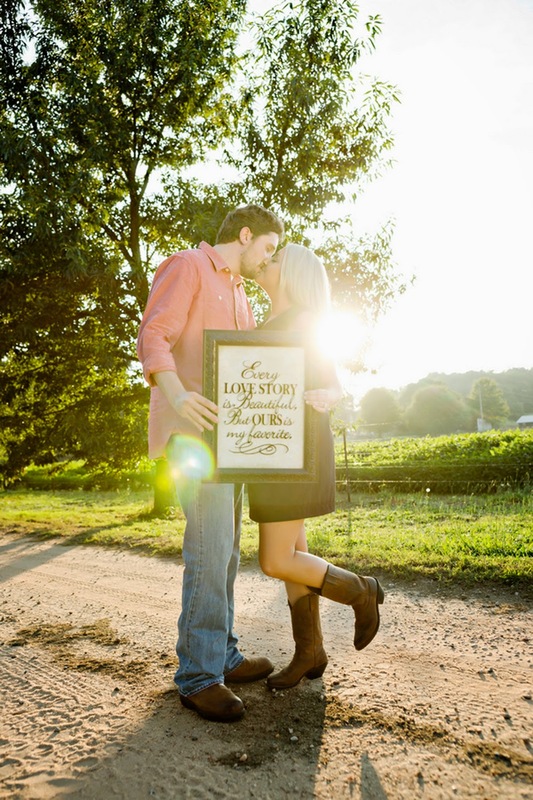 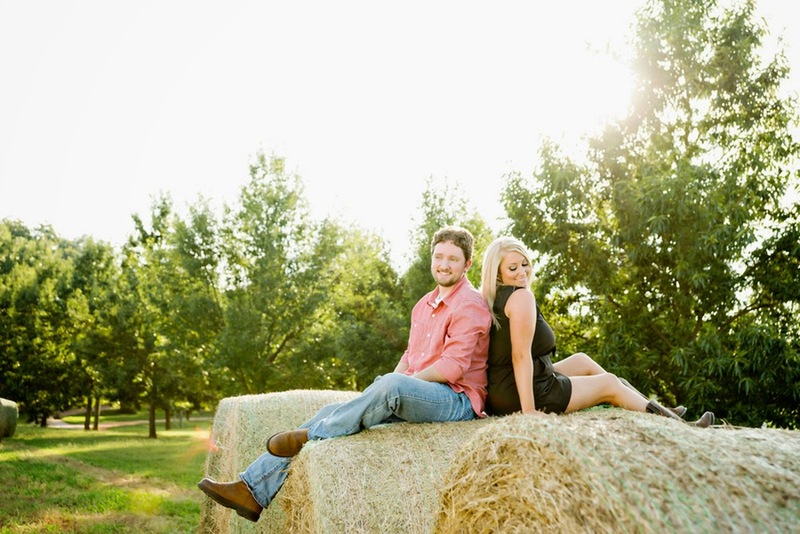 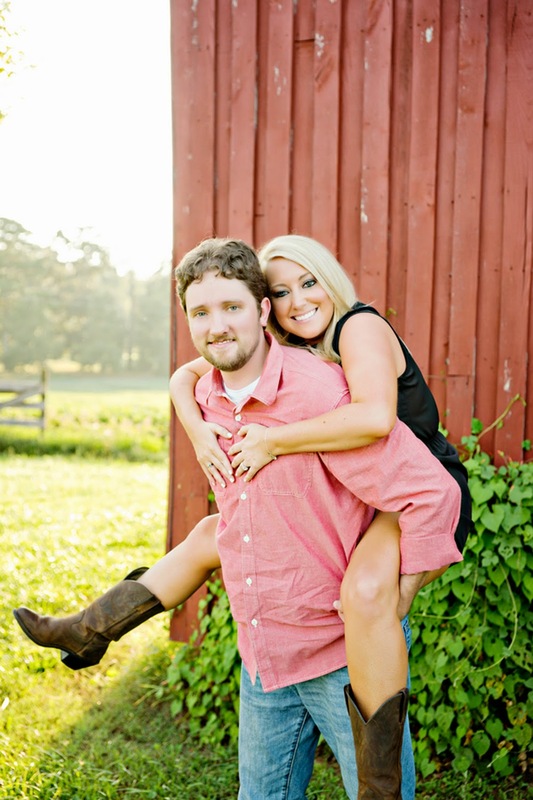 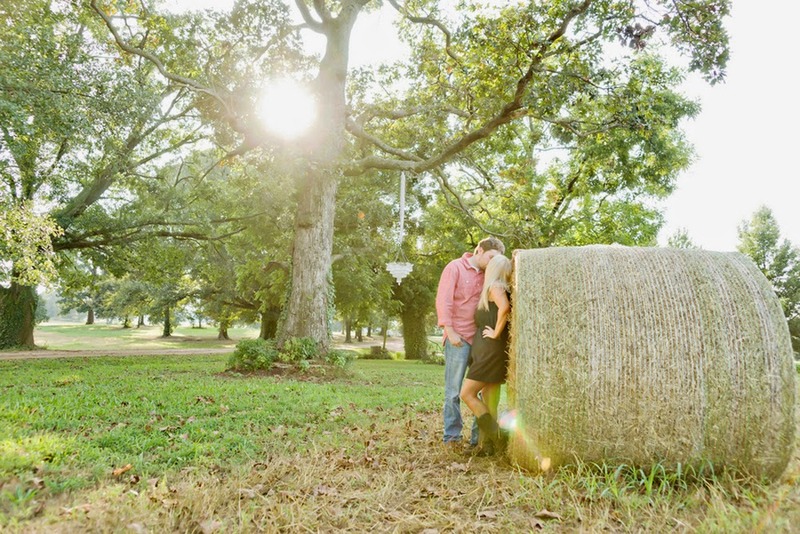 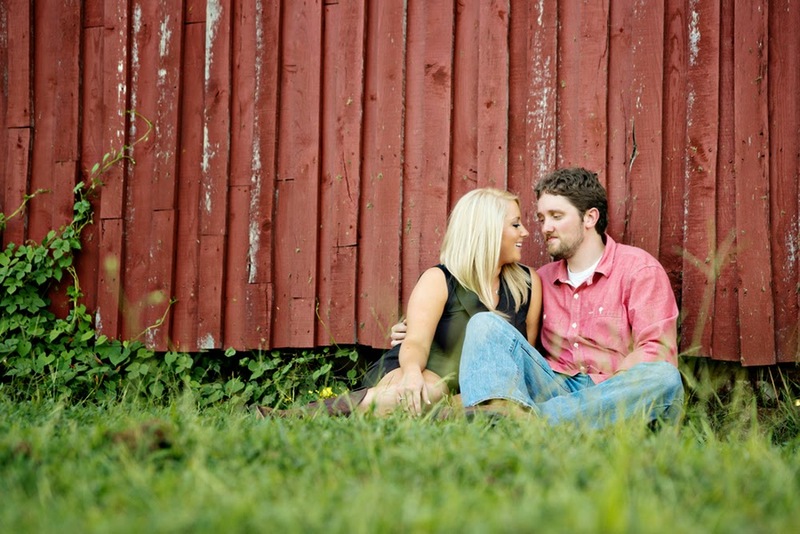 Love this couple's engagement session from Andie Freeman Photography! 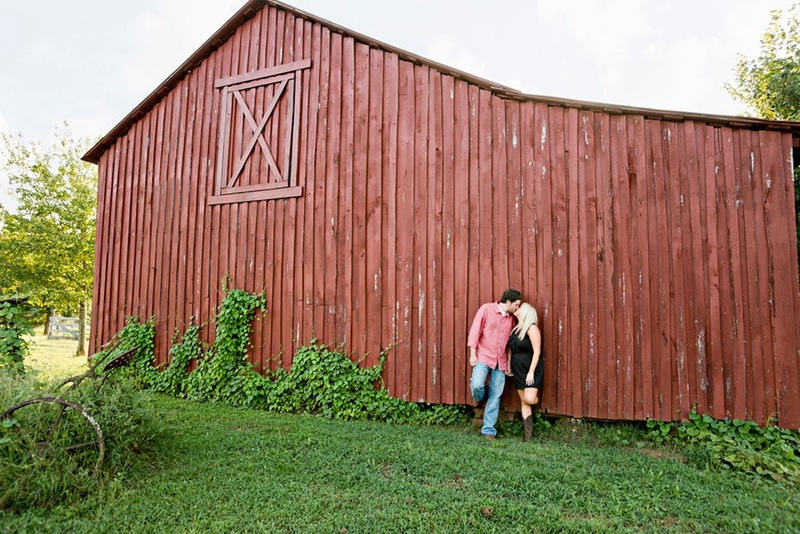 It's full of rustic touches including hay bales, a red barn and a vintage sofa, set in a wooded area of rural Georgia. 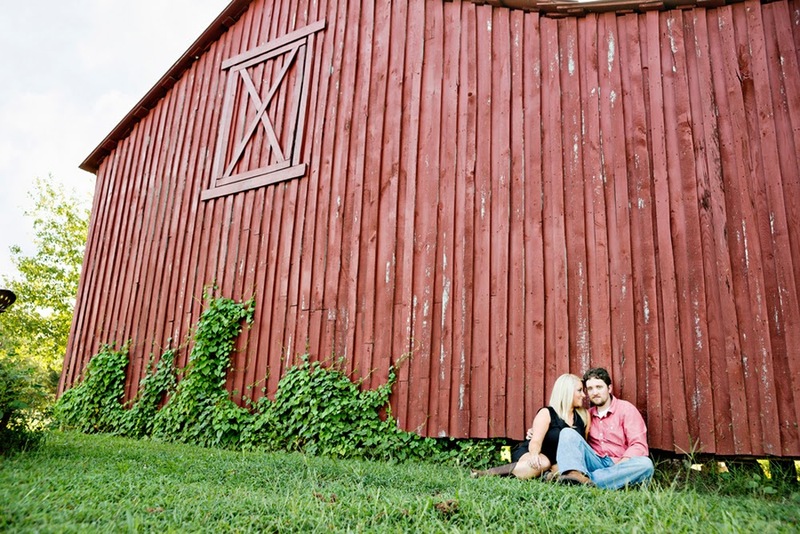 Photographer Andie describes the setting | Traci had originally wanted a rustic wedding but instead chose the classic elegance of the Classic Center in downtown Athens. 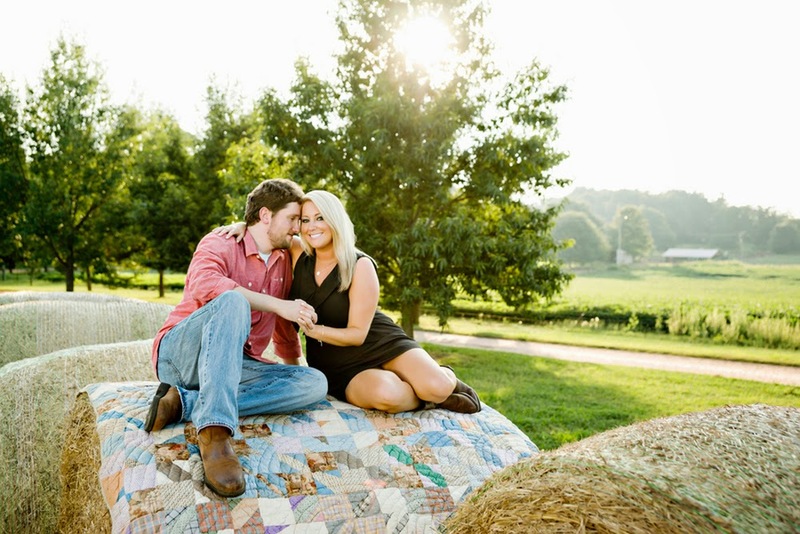 In order for her to get the best of both worlds, we chose to do her engagement session in a rustic setting. 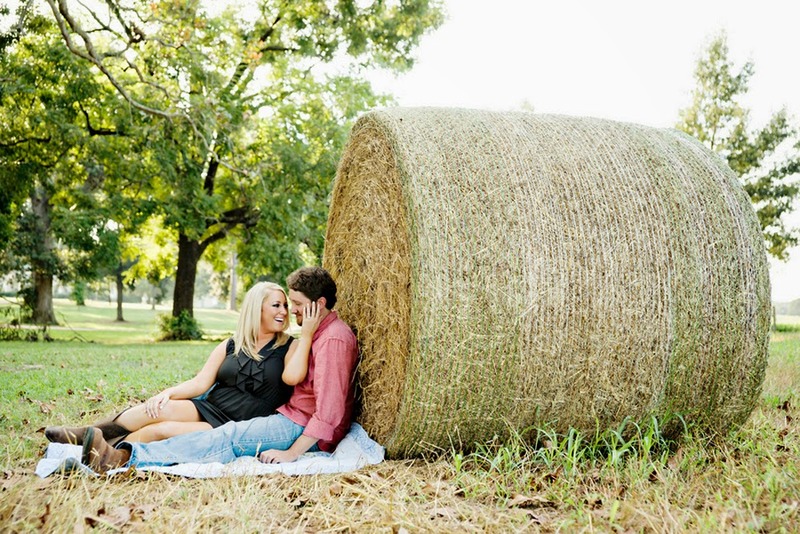 So we chose a farm with hay bales, a red barn, and a line of pecan trees down the dirt driveway. 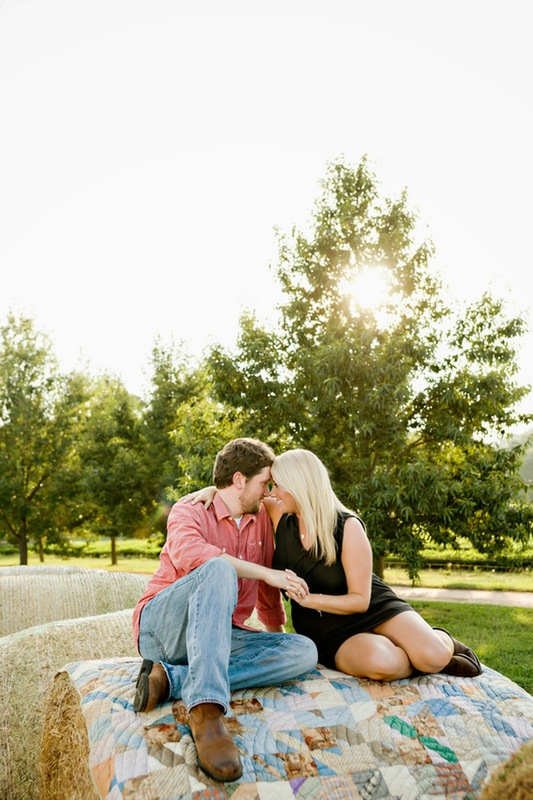 The weather was beautiful on the day of their session and we had amazing light! 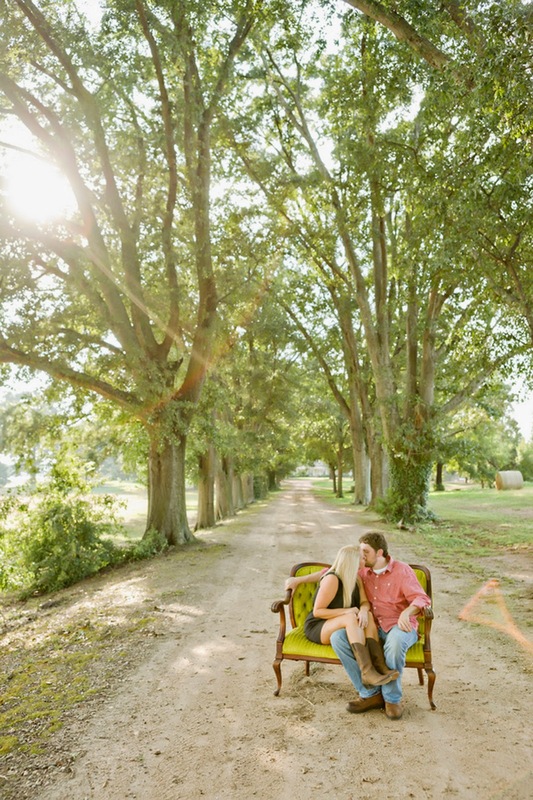 It was the perfect summer engagement session! 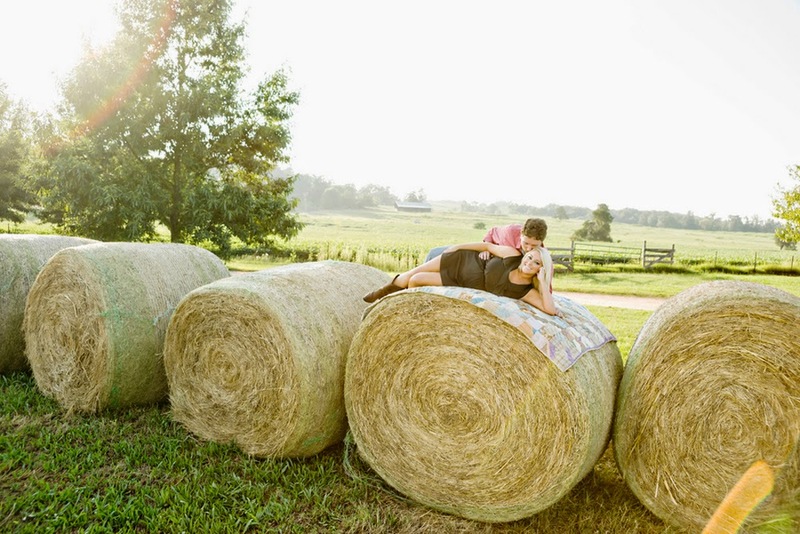 Our thanks as always to Andie Freeman Photography for the submission!